Westerlee House, Westmoreland, St. James. Little Seascape, Gibbs Bay, St. Peter. Azzurro at Old Trees, St. James. Reeds House No. 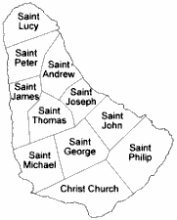 13, Weston, St. James. High Constantia, Heywoods, St. Peter. Schooner Bay Villas, Speightstown, St. Peter, consisting of luxurious condominiums was designed and executed by Robertson Ward Associates. There is a central community pool around which the condos sit and just steps away, are the calm waters of the Caribbean sea lapping gently onto a white sandy beach. The landscaping has also been finished to a high standard. Each condo has been named. The interiors have quality finishes, such as marble floors and tiles.. There is security, an intercom system and air conditioning.